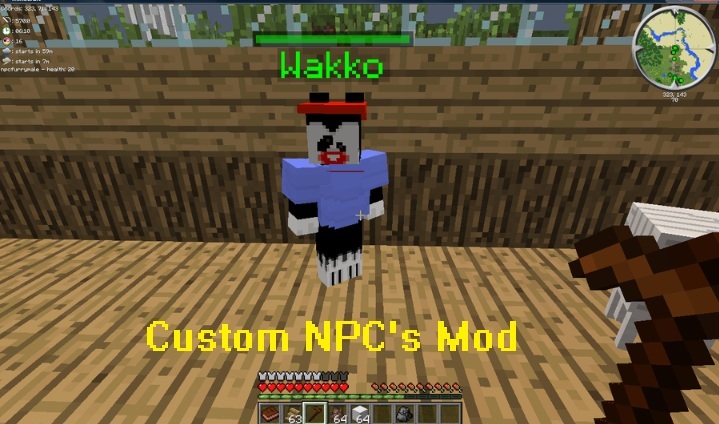 Custom NPC’s Mod is now ported and fully compatible with Minecraft 1.4.4. Custom NPC’s is a modification that adds non-player characters to your world.You can populate your world with NPC’s, they can act like normal players, guards, merchants and mobs. They can be fully customized and equipped with items of your choice. – Download Forge Universal from the link above. • This mod currently supports single-player only. • It is incompatible with ModLoader. • Always backup your Minecraft saves and jar before installing anything, doesn’t matter how small the mod is.